I received an invitation from ShopManila, Inc. (the company that operates SCHU, MYTH, and Bling Duck) to their Free Weekend Workshop for September 29. 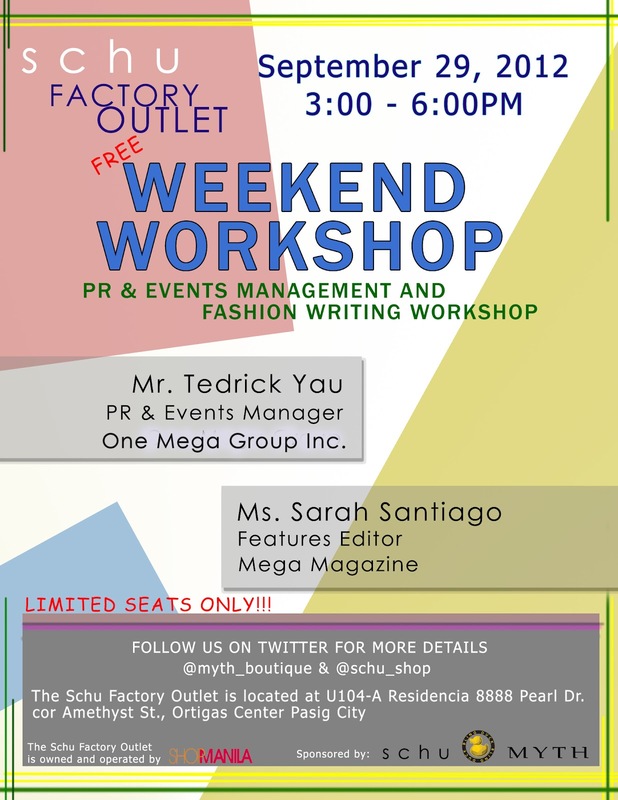 It will be about Fashion PR and Fashion Writing, with Mr. Tedrick Yau, PR and Events Manager of One Mega Group and Ms. Sarah Santiago, Features Editor of MEGA Magazine as the guest speakers. 2. Follow SCHU and MYTH on Twitter. 3. 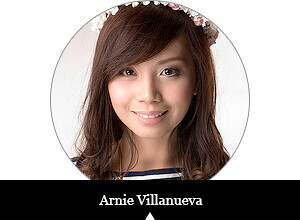 Tweet this: "I want to attend @schu_shop and @myth_boutique's FREE Weekend Workshop on Sept. 29 at the #SchuFactoryOutlet with @listentoarnie ♥"
4. Leave a comment on this blog post with your full name, email address and the link of your tweet. I'll announce the winner on September 26. Remember: This event's going to happen on September 29, 2012 (Saturday), 3PM-6PM at the Schu Factory Outlet (U104-A Residencia 8888 Pearl Dr. cor. Amethyst St., Ortigas Center Pasig City).